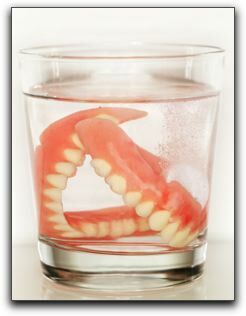 If you are one of the many Valrico denture wearers, you know that dentures are not the ideal solution for missing teeth. The problems with dentures include slipping, gum irritation, trouble eating and talking, bone loss, and the inability to taste food due to a covered palate. Clearly, dentures do not feel and function like natural teeth. Good oral hygiene and regular dental checkups can help you avoid the need for dentures later in your life, but other factors can make dental replacements an inevitability. The good news? Modern dental implant technology offers a better tooth restoration solution for patients. If you currently wear traditional dentures and are not happy with them, dental implants in Tampa may dramatically change your life for the better. Your chewing ability will be similar to that of natural teeth and you will be able to eat hard foods again. How does it sound to enjoy eating a thick T-bone steak at your favorite Valrico steakhouse with your family? In addition to being able to enjoy your meal, you will avoid the embarrassment of having your dentures rattle around in your mouth in public as you eat. Before you pay for another denture reline, ask your Valrico dentist about the possibility of dental implants in Tampa. At Five Star Dental Care, we like to remind our patients that there is life after dentures with tooth implants! Come see us at for more information about dental implants in Tampa. We also offer other restorative dental options such as teeth whitening, porcelain veneers, and dental crowns. We look forward to seeing you for your next appointment! This entry was posted on Wednesday, November 14th, 2018 at 8:00 am	and is filed under Dental Health, Dental Implants, Dentures. You can follow any responses to this entry through the RSS 2.0 feed. Both comments and pings are currently closed.